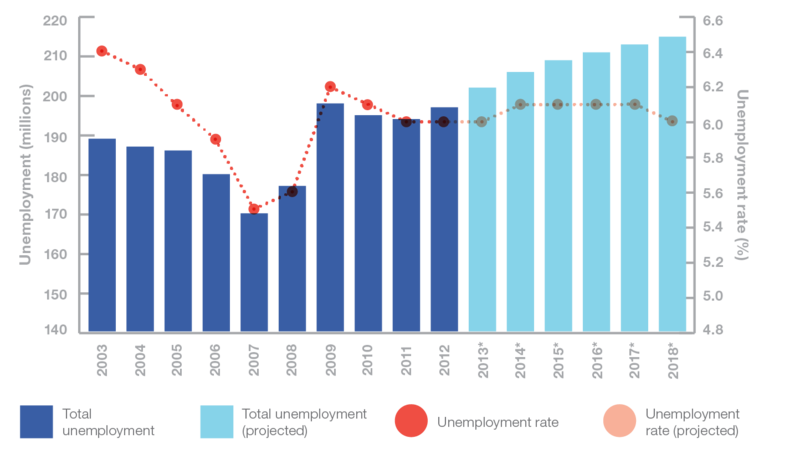 Unemployment rate hits over two hundred and ten million globally – Royal Times of Nigeria. 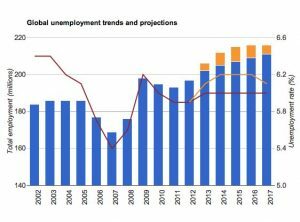 The International Labour Organisation, ILO, has said that over two hundred and ten million people are unemployed globally and that by 2030 the world would need six hundred million jobs extra. Vice-President of Governing Body of ILO, Mr Luc Cortebeeck, said this at the just concluded Training Course for Media Professionals on “Communicating Labour Rights” in the International Training Centre of the ILO. Cortebeeck said that there are a lot of challenges facing the future of work in the world which includes new technology, inequality, unemployment, migration, injustices, among others. He, however, said that migration is a serious issue as it cannot be avoided; adding that to avoid more migration, there is the need for developments, investments that would create quality and sustainable jobs.